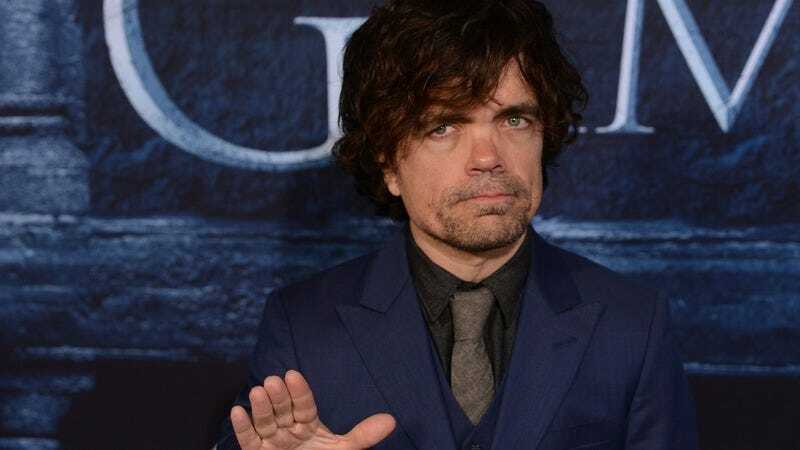 According to Variety, Peter Dinklage from Game Of Thrones and Jamie Dornan from Fifty Shades Of Grey are set to star in an HBO original movie called My Dinner With Hervé. The movie is about an unlikely friendship between a struggling journalist and actor Hervé Villechaize—best known as Tattoo from Fantasy Island—with the two of them bonding during a “wild night” in Los Angeles. The film seems to be (at least somewhat) based on real-life interviews that Villechaize gave with writer Sacha Gervasi, who will write and direct My Dinner With Hervé for HBO. Also, the wild night My Dinner With Hervé centers around will apparently have “life-changing consequences” for both men, and though the Variety story doesn’t spoil what those consequences are, a basic knowledge of Villechaize’s life suggests that this movie might actually be about something other than a wild night in Los Angeles. My Dinner With Hervé doesn’t have a premiere date yet, but HBO has given it the green light to go into production.